Here we offer you a painting guide constituted by three videos of 15 minutes each, where it is explained all steps needed to paint a 15mm vehicle. Original source: HeresyBrush. 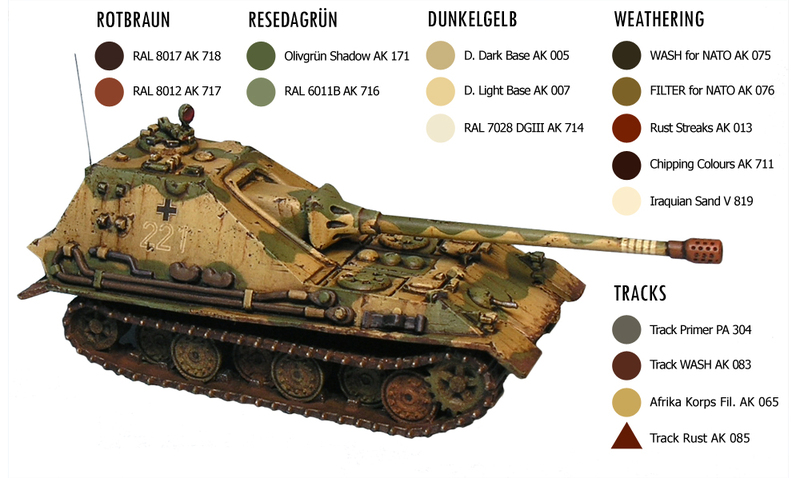 Some time ago I prepared this tutorial where I tried to explain all painting and weathering techniques which I used to use in that moment (now I’ve added some new), applicable to 15mm vehicles (1/100 scale), like Flames of War models. Really, all techniques of higher scales can be applied on these smaller miniatures. Nonetheless, we have to be careful with the “effect of scale”: it’s too easy exaggerate an effect (and I’m the first in do that…). The tank is a E-50 Jagdpanzer from Heer46. If you are interested, in the original article you can find more details of every step: HeresyBrush – how to paint 15mm vehicles. Fantastic tutorial! Please keep the video tutorial coming. Hi Ruben, Since I first saw your articles and work on the internet 3 years ago I have been a big fan. I love your technical excellence and fastidious attention to detail that are essential to produce work of this calibre. You are deservedly one of the very best 1/100th scale painters in the world. I appreciate you sharing our techniques and expertise with us. Please don’t stop producing these masterpieces!